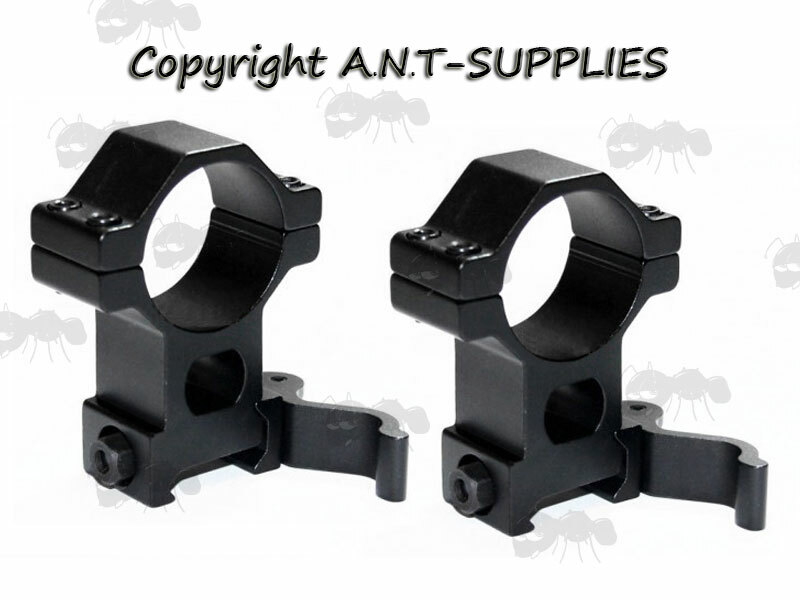 Also available ~ Quick-Release Weaver / Picatinny Rails. Overall height 49mm, 15mm elevation. Overall height 54mm, 20mm elevation. 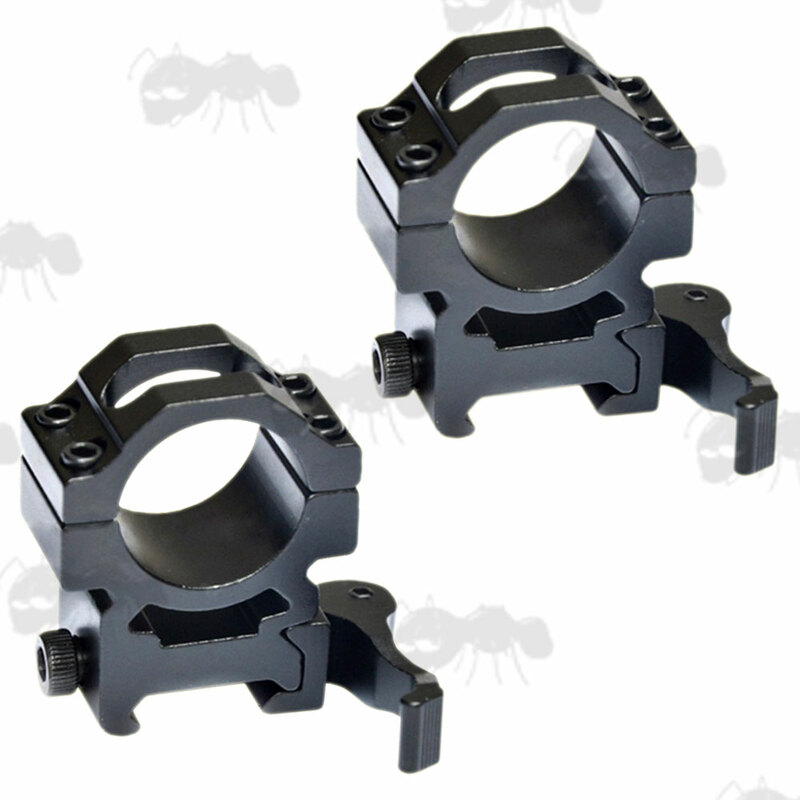 Overall height 49mm, 10mm elevation. Overall height 63mm, 24mm elevation. Fit onto 20mm weaver/picatinny rails. 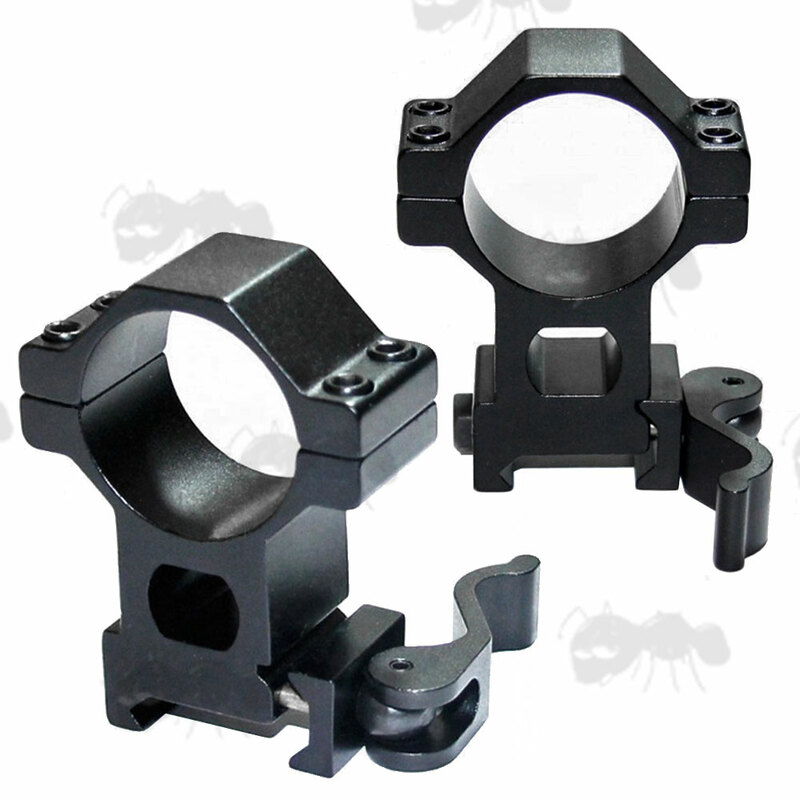 Aluminium alloy in durable black matte finish. 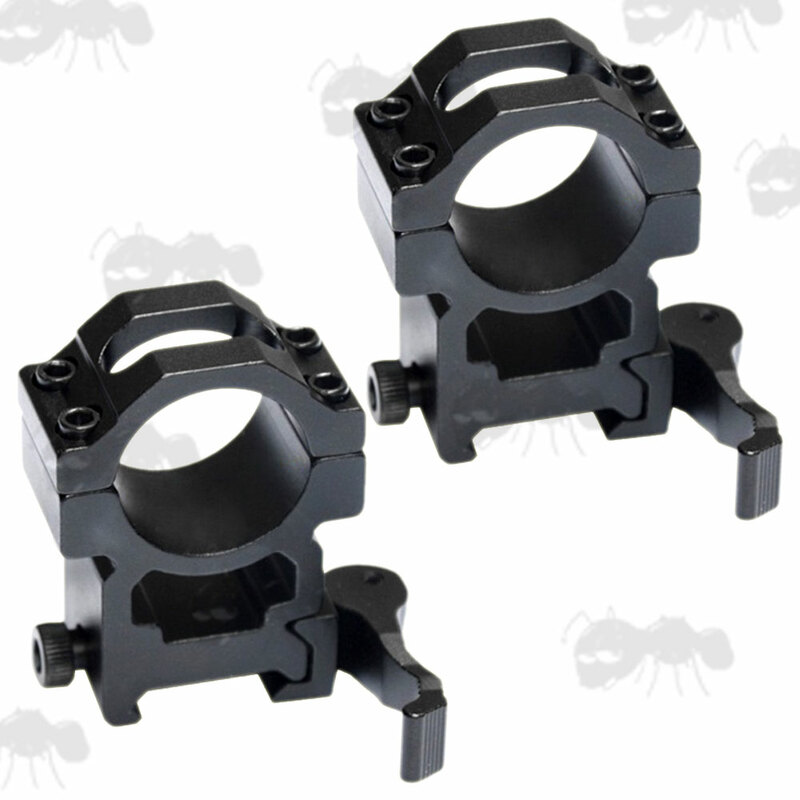 We also have one piece quick-release weaver scope mounts available. 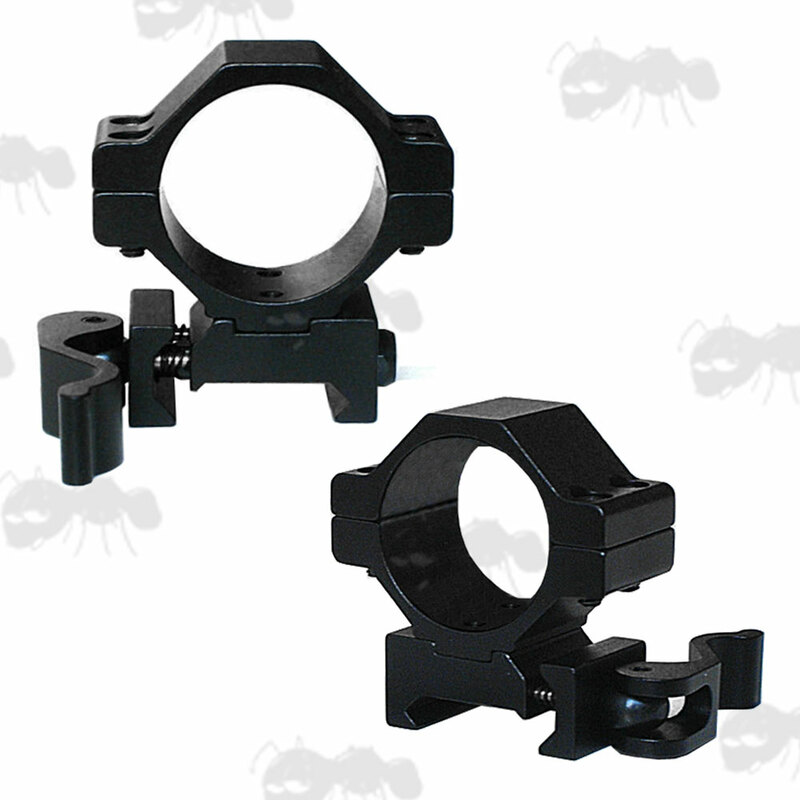 Link for ~ 30mm to 25mm ring adapters.